By comparing the product prices between 2 chemists/pharmacies, Amcal is the cheapest. It is $6.00 (21 %) cheaper than next price leader (Priceline Pharmacy). The current price at $21.99 is the lowest among competing chemists/pharmarcies since 28 Feb 2018. 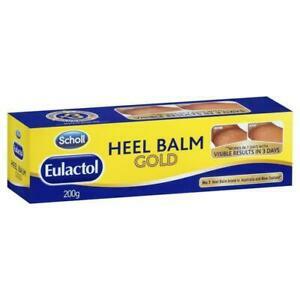 Similar product New Scholl Eulactol Heel Balm Gold 200g Rough, Dry and Cracked Skin Relief can be found at ebay Australia at $31.67.